Former Olympic bronze medallist, Steve Parry, competed in swimming internationally in the 100-metre and 200-metre butterfly events. He represented Great Britain in the Olympics, FINA world championship and European championships and represented England in the Commonwealth Games. Steve set a Commonwealth record at the 2000 US Nationals in Seattle, which was followed by him qualifying for his first Olympic Games in Sydney in the same year. Four years later, Steve won Britain’s first Olympic swimming medal in eight years at the Athens Summer Olympics in the 200-metre butterfly. Following a hugely successful year, Steve decided to retire from professional swimming in 2005. 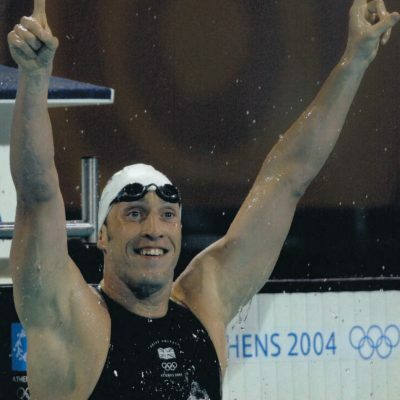 Since then, Steve has successfully set up his own company – Total Swimming – in partnership with Adrian Turner. The company aims to revolutionise swimming by creating a fun and innovative learning programme for young people. He is also a regular presenter for the BBC and commentated on swimming at the 2008 Beijing, 2012 London and 2016 Rio Olympics.